While this past election may have been one of the most grueling and exhausting in recent memory, it also brought many previously-unknown communication and strategic realities to light. It’d be easy for brands to brush these issues off as the product and remnant of heightened American political fervor. But, that would be foolish. The reality is that this election revealed many signals of an underlying shift in how people interact with institutions, give feedback and make decisions. It’s time for brands to examine these signals and begin to think about what each one means for future business marketing and strategic decisions. While we won’t know how the market is completely changing, we can look toward the horizon and make educated assumptions. The following is a brief list of several signals and what they could potentially mean for businesses. What It Means: Companies will have to “prove” why they should be trusted. There seems to be a growing undercurrent of distrust of information consumed online. This is fueling a need to not just increase trust, but to prove why it a source that should be trusted. For companies, the growing skepticism of media (particularly information that is consumed online) can impact how companies communicate and reach their audience. Claims about features/benefits will need to be validated in ways that were previously unnecessary. This validation would be even further strengthened if unbiased third-parties also validate the claims. Regardless of how it is done, the primary signal to note is that markets will want more substantial ways to reinforce the logic behind making a purchase decision. What It Means: Big data has its limits and must be combined with something more intuitive/emotional. Big data really hit its stride around 2008, when it was used (quite successfully) to help Obama’s presidential campaign. Since then, big data has become its own industry, prompting brands (large and small) to invest in and utilize big data to improve their service offerings. Despite all its benefits, big data got the 2016 election wrong. Companies should see this as a signal of big data’s limitations. Yes, it is helpful (dare I say indispensable?) for a litany of uses. But, it cannot predict (at least not yet) what drives humans to act on an emotional level. Understanding this, we can make the case that data and statistical analysis should also work in tandem with humanities and artistic disciplines. Combining the two could empower companies to see a different dimension of consumer behavior – one that fuses intuition and analysis. What It Means: Companies need to nurture their most loyal customer bases. Putting political views aside, brands should see this and remember just how important core customers are. This is especially true for companies who operate in constantly-changing markets. As technologies change and more “disruptors” enter the market, it could be easy to lose focus on their core market. This doesn’t mean you should stop exploring and serving new markets – quite the opposite. As you continue to expand your reach, influence and market value, signals from this past election stress the importance of remembering to go back and take care of those who have always been there for you – because nothing guarantees that they’ll stay with you forever. What It Means: Strategic decisions are on a shorter timeline. Obviously, what worked in 2008 and 2012 didn’t work in 2016. In previous election cycles, there were “tried-and-true” ways of doing things. This election cycle turned this theory on its head. No longer can we assume what worked in the past will work a year or even six months from now. This has enormous implications for companies and brands. Companies should see this signal and challenge themselves to reevaluate previously-held beliefs (i.e. celebrity endorsements, press releases and traditional advertising). By recognizing and examining entrenched beliefs, companies commit to being adaptable to rapid market-shifts. Yes, it’s easy to rely on what has worked in the past, especially when employee evaluations are on the line. But, this reliance on a “tried and true” methods of corporate success could upend the entire business. The 2016 election sent very clear signals for all to see. As we move forward into this uncertain future, businesses should be looking at signals and planning their way forward. It’s important to not view it as a political experience, but as a chance to learn something new about a diverse and changing market. Doing this is choosing to decide the future of the company. 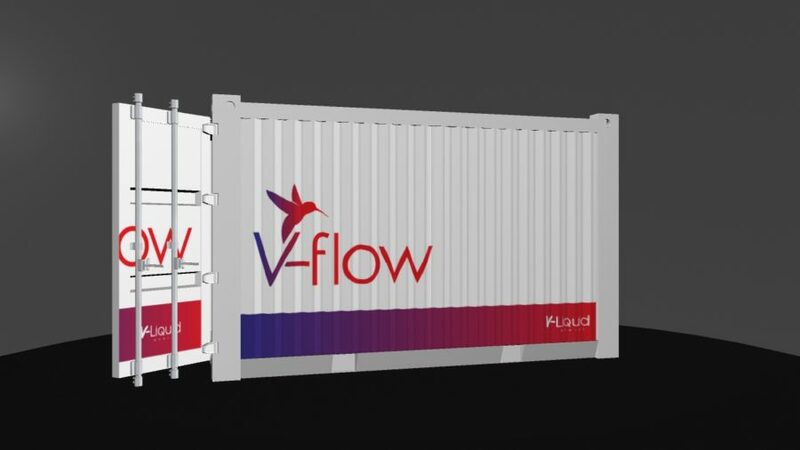 V-Liquid Energy co. ltd. is a Leshan, China-based technology startup that is developing a vanadium-flow battery for large commercial use. The battery will empower utility energy providers to store and distribute renewable energy to populations around the world. We were selected by V-Liquid Energy to create a brand and brand strategy for their product that would resonate in US markets. Despite the enviable features the product is promising to the industry, the company is unknown to the US markets and struggling to create a brand that would be recognizable in a competitive space. In addition, the vanadium-flow technology has had a history of unreliability and mistrust in the market. As we sought to differentiate the company and it’s product, we researched the traditional-energy and renewable energy space. We repeatedly found that other companies were missing opportunities to connect with the markets on an emotional and aspirational level. Most brands reflected an industrial-persona (scientific, emotionless and utilitarian), despite possessing intrinsic aspirational qualities. 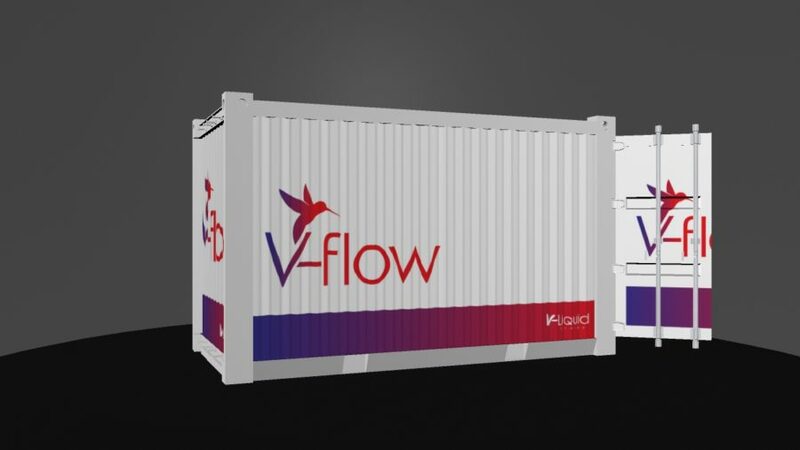 Our research placed vanadium-flow battery technology as being on the cusp of entering into market-viability and acceptance, overcoming decades of scepticism and mistrust. The widespread application, and the benefits this technology would produce to large market areas, framed the direction for our strategy and subsequent designs. The resulting strategy focused on positioning the product in a way that fostered trust, while also projecting a differentiated personality into the marketplace. Within this same line of thought, we created a narrative that places the audience in the middle of an aspirational story arc, aligning the product’s resulting value with the audience’s goals. We created the name to be as descriptive as possible. Potential buyers can look at the name of the battery (V-Flow Battery) and understand, with minimal education, exactly what the product is (a vanadium flow battery) and what it’s application would be (to store and distribute energy). Because the product’s name describes what the product is/does, those in the market are better-able to learn about and remember the product – futher reducing market-entry and future marketing costs. The insight gained from the research also informed our strategy for creating the product’s identity, including the logo. We wanted the logo to contain natural and energy-elements in a way that further communicates its use and value. However, we knew, to create a truly-differentiated identity, the signals we place in the market could not incorporate any over-used (cliche) colors or iconography. For that reason, we made a conscious decision to not include the color green or any design elements that represented organic plant life (i.e. leaves or trees). The final design features a vibrant and multi-colored color pallet that fuses blue and red together. The pairing of the two colors bring the viewer a sense of momentum that blends differing components to form a singular concept. Even further, this “fusing” represents the actual function that takes place within the battery – the red and blue colors embody the two liquid electrolyte solutions that, through an electrochemical reaction, can store and convert energy. Because the battery stores energy generated from renewable sources (i.e. solar) we knew the brand must contain a significant element that is rooted in the natural world. But, as stated earlier, we intentionally avoided any plant life representations. The final logo features an active hummingbird, which is stylized and placed within the logo to show motion and represent “life” coming springing from the product itself. Specifically, the hummingbird was chosen as the brandmark because the bird is associated with the primary attributes we wanted instilled into the brand: energy, resilience, precision and friendliness. Communicating design concepts can be tricky, especially when you’re communicating across cultures and languages. As we developed a divergent set of package designs, we brought in our modeling team to design a rotating 3D model and then place our designs on each model. The end result (which you can view here) enabled decision makers to quickly understand how designs would be applied and viewed. The final brand composition and brand leans heavily on the idea of balancing of energy and nature. The strategy relies on creating the industry-wide missing link between renewable energy aspirations and applications. This created a clear path toward building trust and acceptance in the industry as not just another product, but as an essential component to providing renewable energy to the world. Innovation begins in the mind. When you decide to change, innovate, adapt or improve a product or service, you immediately enter into a new reality. It’s an abstract, yet very clear, reality – possessing an inherent feeling of possibility and chaos. Old ways of doing things are questioned and imagined-realities are considered. It’s up to you (the innovator) to know how to manage your reasoning to navigate this sea of abstract variables, possibilities and realities. The first step is realizing innovation is not linear. At some point or another, we are all taught efficiency is king. While efficiency is very useful, especially when repetition and standardized quality are the primary goals for the subject/profession, it conditions us to think about problems in a very linear way. Linear thought does very little to propel true innovation. In fact, I would go as far as to say that this type of reasoning hinders innovation and maintains a dangerous state of organizational comfort. If we are to achieve true innovation, we must learn new ways to reason. As designers, thinkers and innovators, we are continuously innovating and improving beyond what is expected. Whether we are creating a brand for a Chinese renewable energy battery company, or creating VR experiences for the military, every project begins the same way – adapting how we think about the problem. This adaptation, gives us the greatest chance to see what’s truly important and how minor changes can become game-changers. If you search for reasoning methods, you’ll find a vast array to choose from. 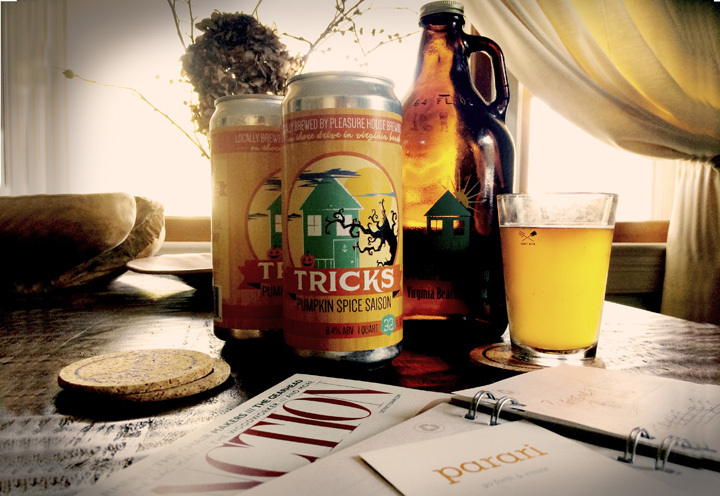 We suggest that you dig deep and explore as many as you can. But, to save you a little time, we’ve put together a brief list of our three favorite reasoning and thinking methods that increase chances for innovation-success. Each one carries with it enormous power, as they will help you and your teams consider divergent sets of possibilities, realities and outcomes. Like all skills (yes thinking is a skill), the more you practice at them, the better you will get. This type of reasoning seeks to find answers to “what if” questions. It’s particularly suited for those who are finding solutions to ill-defined problems. It begins by looking at situation and, instead of working it out through from the beginning to the end (like a scientist or manager would), you begin by defining the result you want to see. This type of conjecture-logic helps teams expand their thinking beyond current realities, allowing new ones to take their place. In doing so, designers are able to better-define the problem and find paths toward the most satisfactory solution. Holistic thinking examines how things exist in an environment. It considers independent and dependent variables and how current arrangements can be modified to improve the system. You can see this at work in Amazon’s projected expansion into the brick-and-mortar grocery market. Shopping for groceries is one of the oldest market-activities on earth. Yet, Amazon is innovating this market by applying holistic thinking and rearranging the variables in the existing system. Going beyond functions and use cases, human-centered thinking considers anticipated emotions and meanings, particularly before considering possible solutions. It seeks to know how a customer feels as they enter a store, open an app or view a website. 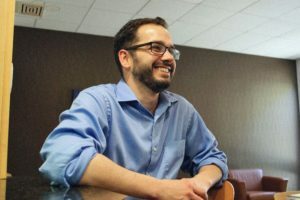 If done correctly, the innovators can create product and service experiences that connect with the customer on a level that goes deeper than standard feature/benefit-lists. Human-centered thinking is more difficult than it sounds, mainly because it weighs, explores and identifies latent needs, which are most often unexpressed and consciously unnoticed. Doing so requires extreme amounts of empathy and observation, being able to put yourself in the end-user’s shoes and feel what they feel. When innovators do this (think the first iPhone), they are able to connect with the market on an emotional and meaningful level. Thus, paving the way for new products, services and markets that create tremendous value for the customer and company. Don’t solve a problem – solve the right problem. Inside each one of us (if we’re so inclined) is the inherent ability to innovate and change for the better. If we could pinpoint the one thing that gets in the way of innovation, it would be that people are not solving for the right problem. Many times, they are solving the symptom (making it smaller, faster, lighter) when what would make a true impact is something completely different – something unexpressed. This is why how we think about problems is so important to innovation. It’s through the systematic application of different reasoning methods that clarifies purpose and effort. It also moves us closer to finding the right information that will ultimately lead us to the right problem to solve. We can’t get there by considering the linearly-obvious. We must first learn how to get outside our heads and navigate the ever-changing waters of new, possible and existing realities. Then, we can realize the best innovative-solutions for our companies and markets. Sometimes there’s nothing wrong with your product. Sometimes there’s everything wrong with your customer’s experience with your product. It’s baffling when a customer is ecstatic at the time of purchase, only to rush back days later demanding a refund. You could quickly assume there’s something wrong with your product (which might be true). But chances are, if you’re as good as I think you are, there’s nothing wrong with the product. They’ve just had a bad experience with it. How do you improve ownership experience? If you type in “ownership experience,” you’ll get pages of results for car or plane manufacturers showing off the great experiences of their product’s owners like the Tesla Model S or TBM by Daher. If you type in “user experience” into your search engine of choice, you’ll get a bunch of articles and websites in the app development world. It’s as if these phrases are trademarked to these industries by default. But what if you’re not in the business of making cars or apps? How do you engineer the perfect ownership experience for your product? And, frankly, why should you care? You’ve already made the sale, and most of your customers aren’t returning their products. So, why try to figure out what your customers feel about and do with your product once it’s sold? Here’s why: If the product owner is delighted with the ongoing experience of your product, they’ll buy more from you, and they’ll talk about you to their friends. More sales. More word-of-mouth marketing. Definitely worth learning how to engineer your customer’s experience with the product. Of course, this is easier said than done. It’s hard enough to spark a positive reaction from a customer the first time they use your product. But you’ll have to work even harder to “wow” them every time they interact with it. It’s comparatively easy to provide a positive experience for your customer at the time of purchase. But once the novelty of your product wears off and the product is in the field, your customer’s expectations for the product will begin to change. But once the novelty of your product wears off and the product is in the field, your customer’s expectations for the product will begin to change. In the field is where they’ll really know if the product is going to solve their problem. How much prestige they gain with their friends. This stage of your product’s lifecycle is critical, because here’s when buyer’s remorse can replace the product owner’s initially great experience. And this is also where traditional product development breaks down. But for apps and web technologies, product development continues even after the sale through the use of anonymous data collection. Most software and web applications today collect anonymous user data and send it to the developer. With insights gained through the anonymous data, the product can be continually improved. The constant iterations of the product keep up with the user’s changing expectations, maintaining a positive user experience with the product and the brand. Data collection technology in physical products would reveal key insights into how the product is being used, design flaws that show up in the field, and customer expectations. Being able to “listen” (with real-time data, not surveys) to the needs and expectations of your customers as they use your product empowers innovation. With this information, you can find new ways for your product to solve customer pain points. Or, you can create brand new solutions for your customers. Think it’s impossible to merge technology with your physical product? Think again.As we move on from the Internet of computers to the “Internet of Things,” we’re seeing the line between traditional hardware and networked devices blur. Thermostats are now connected to the web. Cars can be locked with a mobile device. With the line between these technologies getting thinner every day, consumers expect closer integrations between their devices and the other products they own. That’s what VEZI is all about. Improving ownership experience by integrating technology with the products you make, giving you insights into user behavior, and empowering you to innovate faster and smarter. Parari is building VEZI technology to help companies improve the product-ownership experience, as well as gain valuable (and usable) data they can use to improve designs, respond to customer needs and get more control over how their products are experienced after the sale. If you want to stay updated on VEZI, sign up here. We exist to help our clients ideate, create and grow their products, services and brands. 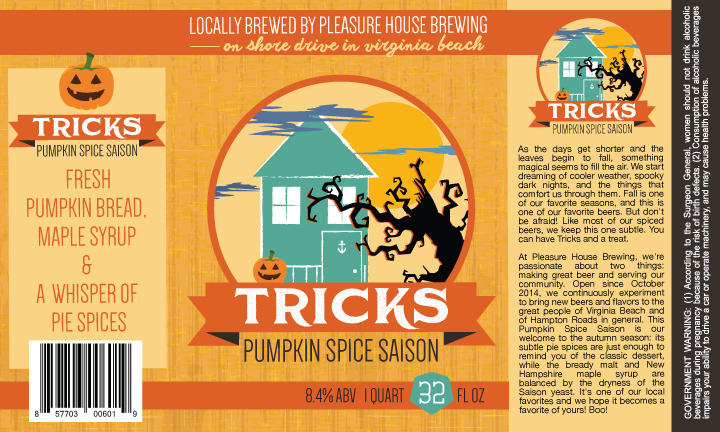 Recently, the Parari team has gotten the chance to work closely with one of our clients, Pleasure House Brewing of Virginia Beach, to revamp the labeling on many of their flagship beers as well as some of their most popular seasonals. We have taken their laid back beach appeal and transferred it to the structure of their look by simplifying the graphics to be clean and distinctly balanced with the overall feel of the brewery and their playfully unique libations. 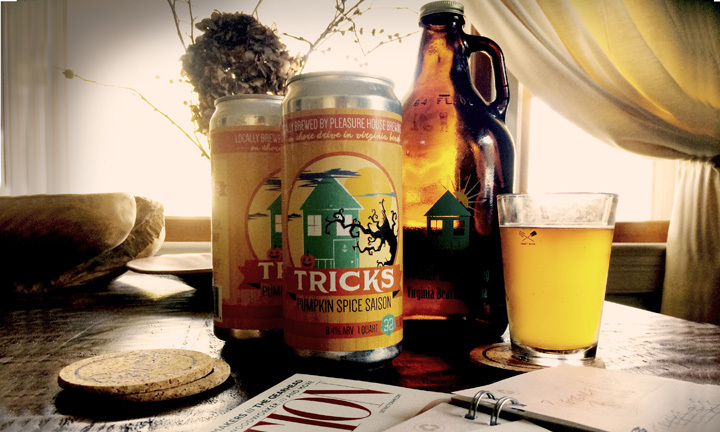 It is with great excitement that we are able to announce their fall-release of Tricks Pumpkin Spice Saison with its newly updated crowler labeling by Parari. 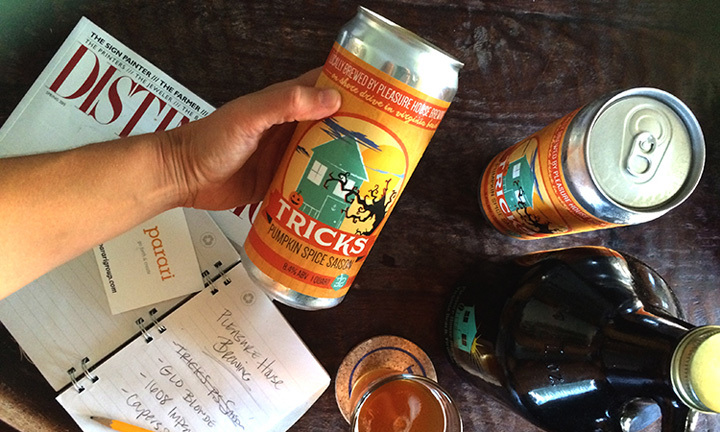 Their in-house release will be held on September 22nd at the brewery and we look forward to celebrating with the PHB crew and the community as we welcome in the autumn with this flavor-pack (and quite nicely designed) fall beer. As society, technology, and the markets of the world change, so are consumer’s expectations of the products they use and the brands they choose to do business with. The Information Age hasn’t simply changed the way we do things. It’s changed the way we think. In fact, there’s evidence that our brains, the very organ we use to think with, has changed. More importantly for brands today, customer expectations are in a rapidly fluctuating state. Huffington Post writer Scott Macfarland made this profound observation on the modern customer psyche. The speed of business is no longer fast enough to keep up with the speed of innovation. 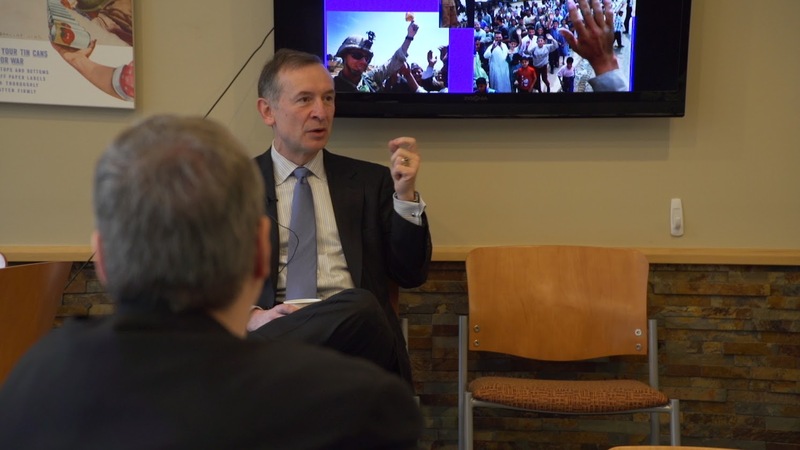 Macfarland points out that companies “being connected” on a global scale and the “immediacy of real-time data transfer” are big reasons for the uptick in new ideas. Ideas, research, information, and observations are being uploaded, downloaded, and merged at break-neck speed. Recent science bears out that new ideas come from the union of two previously known concepts. This means that in a world where more people are connected to each other more than ever before, the rate of idea generation will only increase. But this doesn’t mean that business innovation is keeping up with rate of new ideas being born. To be innovative, it’s not enough to collect real-time data. You must take action on that data. In our connected world, getting real-time data isn’t the problem. Taking action is. The speed of “business as usual” can’t keep up. Old paradigms and brainstorming methodologies aren’t going to cut it in our current fast-paced economy. To innovate quickly, you need data that points you in the right direction. It’s the difference between raw information and business-changing insights. 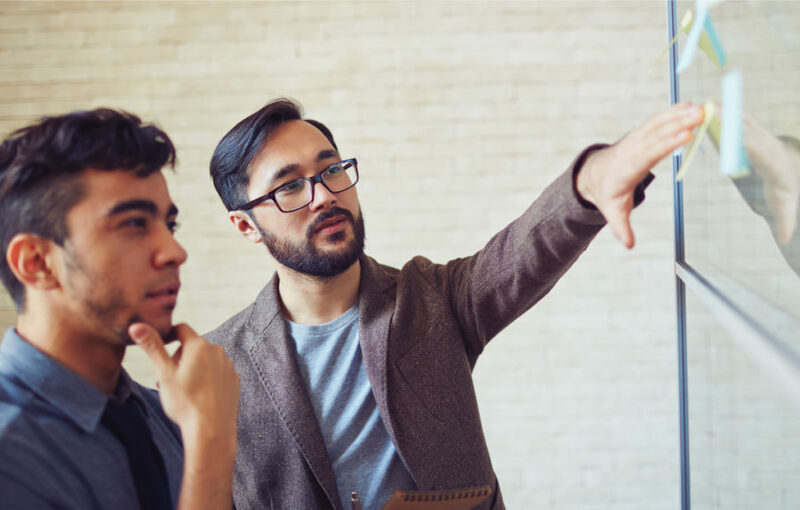 If you wish to stay ahead of the curve, you must insist that your technology and your team members offer helpful direction, not just data sets, so you can get on to the appropriate next step. You’ll also need a quick innovation process. 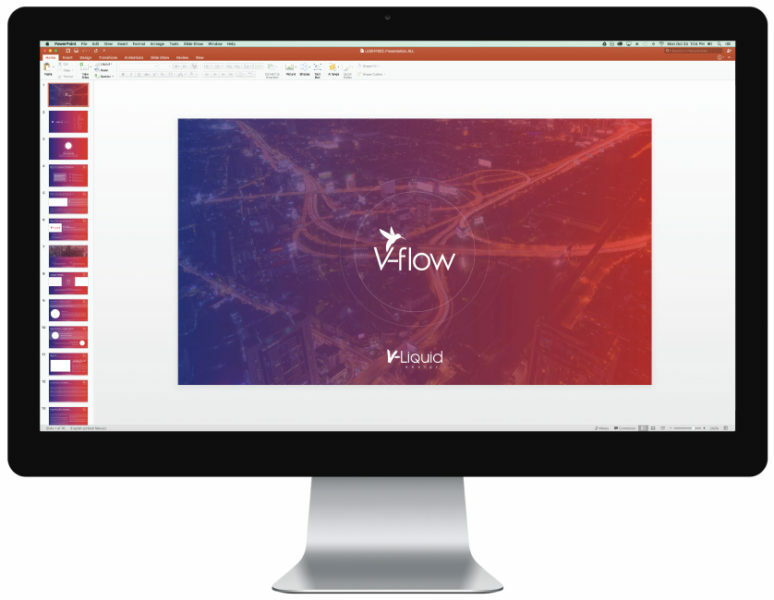 This may entail breaking down some of your old processes to allow for new personnel, new positions, new HR hierarchies, or new workflows. 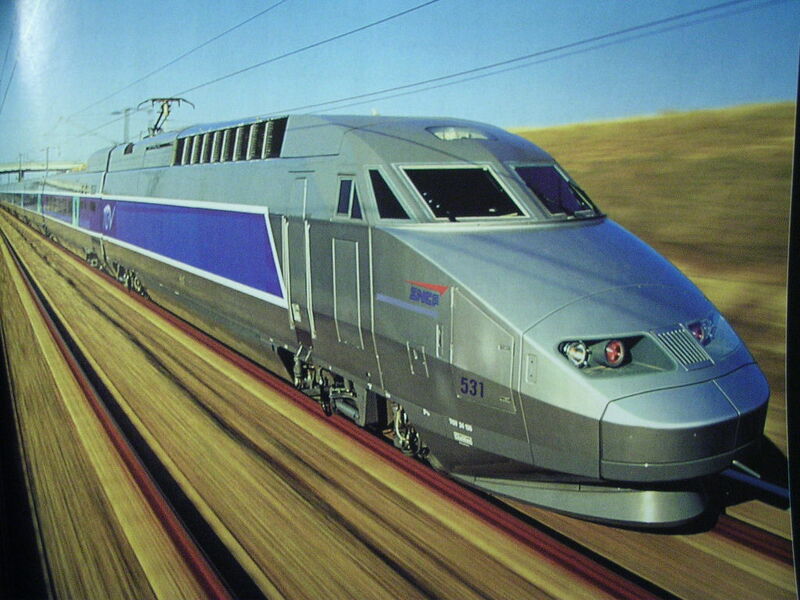 French national railway company SNCF did this, and they’ve seen massive progress. In 2010, SNCF knew they were going to lose their monopoly on the European passenger railways market when the EU passed directives that would open the European market to more competition. They needed to ramp up their innovation process in order to compete with the eager, leaner railway companies ready to steal their marketshare. Problem was, their R&D division was built on a product development process which lasted five to ten years before the product was ready. They didn’t have five to ten years to wait. They needed to change the entire SNCF travel experience for their passengers—and quick. This was about more than technical innovation, it was now about customer service innovation. SNCF needed to innovate and launch several new services to improve passenger experience within six short months. They had all the real time data. But they now had to take that information and move forward quickly. They made two strategic moves. 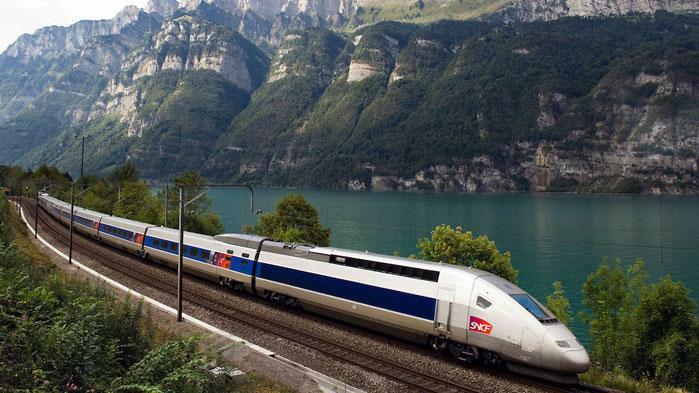 First, SNCF hired a consulting firm to help them create a business unit called TGVLab within the company that would identify, prioritize, pilot, and validate new customer service ideas that promised high return. They’d operate on a shoestring budget. They’d allow the unit to try new things, even if they didn’t work out. It doesn’t have to be perfect to be effective… or profitable. In this new world, your customers expect to be a part of your product development process. They know you’re collecting information on them and their behaviors. They expect to see changes to the product based on this aggregate data and their direct input. Today’s consumer would rather see a minimum viable product which will be consistently improved upon rather than a “perfect” product years down the road. Truth is, by the time you launch your “perfect” product, the market will have changed, and it will no longer be perfect. Bottom line: Invest in technologies that will collect user data, and then quickly put that data to use in product development. Improve your product and services over time. To know more about Parari’s innovation and technology development services, call us at 757-690-8471 or fill out the contact form on our website. If there’s anything keeping us awake at night here at Parari, it’s the steady, silent downfall of American innovation. The decline in innovation affects every business sector, but we see it most clearly in the technology and biotechnology where global market share is gradually giving way to foreign competitors who are investing in innovative spaces, schools, and think tanks. Because of past success, many American companies have been lulled to sleep, thinking their dominance in the world market will never end. Countries, like China, formerly dismissed as “copycats,” are experiencing an entrepreneurial renaissance. China has entered new era. A new generation of entrepreneurs defined by their youth and exponential growth nature has generated new energy and vigor into the country…as long as these entrepreneurs do not break laws or defraud consumers, China’s society now allows and welcomes trials and errors. This era — the era of China’s entrepreneurs — is bringing forth real ground breaking times in China’s long history. If not careful, American companies will keep doing what they’ve always done thinking all is well right before waking up with tire tracks on top of them. But we still believe in American innovation. Question is: How can innovation be revived.? First of all, we must understand the difference between creativity and innovation. Creativity is only a part of innovation. It’s dangerous to assume we’re being innovative, when in fact, we’re just thinking creatively. Essentially, creativity is a form of learning that has no expected result. While fun and “cool,” it doesn’t set out to solve real problems. In contrast, innovation ties its creative process to the needs of the customer. Innovative companies are in touch with their customers needs and wants, and they use all of their creativity to bring the customer a solution that fits the need. Second, we must venture into the unknown. Lots of companies are exceptionally creative when it comes to making their current processes or products more efficient. 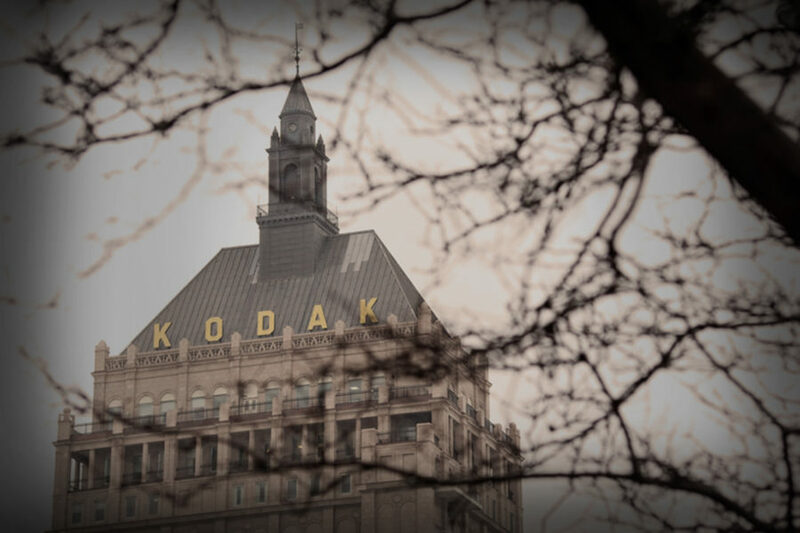 Problem is, if we insist on taking the more familiar, presumably safer routes of what we’ve done before, we’ll end up like Eastman Kodak, a monolith of innovation past. Companies that stop innovating solutions in favor of making past innovations “better” are facing sudden death. Third, we must create innovative cultures within our organizations—starting with the C-Suite. It’s important that the entire organization values and embraces innovative approaches to problems. From the CEO to the janitor, anyone can make a tremendous difference with the right idea at the right time. 1. Executive leadership must take the lead. The CEO must be innovative themselves before inspiring others within the company to do so. They must be anchored in the needs the customer while constantly trying new ways to bring about the solution. 2. Leadership must reward innovative thinking, big and small. It doesn’t matter how big or how small the idea, if employees are not rewarded for their contributions, the innovation will stop. We have to get past the idea that innovation only happens in big projects or large programs. We need daily, continual innovation. If you can’t innovate in little things, you can’t innovate in big things. 3. Leadership must invest in training their team to be innovative. Idea creation and problem solving are skills that can be honed over time. There are principles and a whole emerging science around innovation that can and should be taught to every staff member. Last of all, from time to time, companies need to partner with firms that specialize in innovation. If innovation is lacking or falling behind in your company, bringing an objective third party on board can help you get your edge back. Innovative thinking, and the kind of culture that innovation thrives in, is caught rather than taught. With the right partner, you can absorb the principles behind innovation and spark a change in your organization. If more American businesses were taking this approach, and waking up to the rapidly changing needs of the market, we’d all sleep a little bit better. One of the most misunderstood parts about branding is the logo. Maybe it’s because we’re around them 24/7, but many people believe their logo is their brand; and any conversation about a “brand” usually drifts toward the colors, fonts and “feel” of a logo. While the logo is the most remembered tool in your company’s marketing-arsenal (which is a HUGE reason to spend the cash and have a professional design your logo), it has no intrinsic value. By itself, it is just a grouping of letters, symbol or mark. Think of Nike’s logo. Do you even know what a “swoosh” is? The only way a logo can have any real value is when it embodies meaning. The creation of this meaning is the work of branding…which is work that happens long after a graphic designer sends a finished logo file. Let’s talk about how that meaning gets interjected into a logo. The best way to think about your logo is a meaning-container. It encapsulates your brand’s unique meaning and communicates it to the market. When meaning is present, people instantaneously attach a set of thoughts and feelings to that logo. It’s from this perspective that those in your market form opinions and beliefs about what that logo means to them. People don’t care about what you do. They care about how you make them feel. As people associate feelings with, and attach meaning to, your logo – they are not considering the entirety of your company. They are not thinking about market conditions, supplier relations or the quality of your support staff. Because your customers have limited views, they associate your logo with the experiences they’ve had (or what they heard of others’ experiences) with your company. As a direct result of those encounters, they attach thoughts, perceptions and beliefs directly onto your logo. Simply put, good experiences form good thoughts, perceptions and beliefs, which form positive associations with your logo and company. As you move forward in your branding journey, please keep this in mind; for your market, your logo is a meaning-container. When that container is unpacked, it’s up to you to determine what feelings and thoughts are discovered. Of course, you can’t control everything. But, you can enhance your brand by improving how the customer experiences your business. 1) When the market views your logo, what are your top 5 associations (thoughts/feelings) you want them to have? 2) If you were your own customer, and you just completed a sale/job, what feelings would you have about your company? 3) What are three ways you can make the customer’s experience more meaningful? By addressing these three questions, you’re on the right road to not only building a meaningful logo but a memorable brand as well. 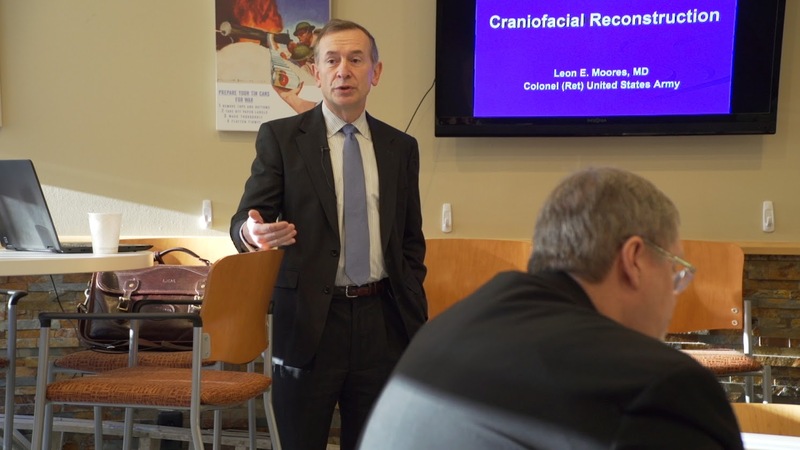 April’s Thanks Brain Morning Blend with guest speaker Leon E. Moores MD, Pediatric Neurosurgeon was one for the books! Dr. Moores shared an inspirational brain talk on Leadership & Medical Innovation here at the parari café! We wanted to share a few things we learned from his incredible presentation. If you were in a severe car accident and you had a choice of going to any hospital in the world, which one would you choose? Would it be a nationally-recognized facility in large cities such as New York, Chicago, LA or Houston? According to Dr. Moores, the hospitals that are best-prepared to save your life would be near or in the battlefield…perhaps even in a tent. These hospitals are the best-staffed and best-equipped facilities to treat severe wounds and life-threatening injuries. Because the people working in them are constantly exposed to the most critically-wounded people on the planet and they are some of the most experienced in the world. Practice determines performance. 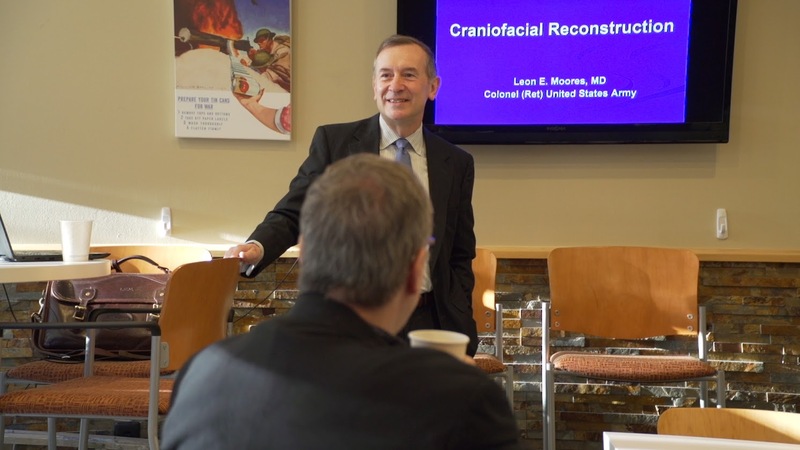 Dr. Moores gave us insight into the challenging decisions he’s had to make as a Pediatric Neurosurgeon and also performing emergency surgery on wounded Soldiers on the battlefield – it’s a tough job! To prepare himself before an operation, Leon shared that he would often mentally visualize certain cases from start to finish. This type of mental preparation is essential to performing intricate tasks under the most demanding of situations. He does this, so that when he’s under pressure, he’s completely prepared for the task at hand. Mastery happens over time. To get to his level of expertise, he has had to build it by being open to continuous learning and a cycle of growth. Now, if there’s anything we may share in common with Dr. Moores (he is pretty amazing), it’s that with anything, you go through a life cycle ­– starting off unconsciously incompetent and finishing unconsciously competent. In the words of Leon, “it’s really scary, then it gets less scary, and then it gets non scary, and then you get old”. It’s this type of willingness to learn and grow that Dr. Moores has attained his level of mastery. Dr. Moores presented several examples of how surgeons are doing things that would have been unimaginable. He is leading the way, breaking ground on amazing technologies and techniques that are revolutionizing medicine to save lives. Not only do we want to extend a special thank you to our speaker Dr. Leon E. Moores for his military service and the incredible work he has done, but we also want to share the important lessons he shared with the Morning Blend group. With all that said, we are looking forward to seeing everyone at the next morning blend, as we share new ideas and make new friends. Do you find yourself catching up on Facebook while watching a movie, losing interest in just a short video, or constantly checking your phone for anything that catches your attention? If any of these examples sound like you, you’re definitely not alone. A study by the National Centre of Biotechnology Information and the U.S. National Library of Medicine found that 79% of respondents used portable devices while also watching TV (known as dual-screening) and 52% check their phone every 30 minutes. Holding your concentration in the digital world is hard these days. In fact, our attention span only continues to shrink – according to a Microsoft study, the human attention span is deteriorating, saying it has fallen from 12 seconds in 2000 to eight seconds. This is one second less than the believed attention span of a goldfish – yes, a goldfish. Social media is great for communicating information quickly, however, it continues to rewire our brains to be able to process information quicker. So quick in fact, research is showing that content will get even shorter – known as “micro-content”. Cutting down information to 140 characters or less doesn’t just come in handy on Twitter. Social Media Today published an analysis stating that Facebook posts with 70 or less characters get the most likes and comments; 71 to 140 characters do less well. If you’re looking to encourage retweets on Twitter, perfect your content to around 115 characters. Visual content grabs attention – our brain processes visuals 60,000 times faster than text. Visual content doesn’t have to be just images or video either, they can be anything from infographics, slideshares & more – get creative & mix it up. Images improve the speed of learning and information retention. Tweets with images are twice as engaging as those without and Facebook posts with photos account for 93% of the most engaging posts on the platform. According to kissmetricks, photos get 53% more likes, 104% more comments and 84% more click-throughs on links than text-based posts. For maximizing your engagement, pair an image or video with a sentence long quip. The average length watched of a single internet video is 2.7 minutes according to a study by the National Centre of Biotechnology Information and the U.S. National Library of Medicine, so aim to get your information across in the first 8 seconds to grab viewer’s attention. When crafting your post, use action words. According to buffersocial, tweets that contain more adverbs and verbs have higher click-through rates than noun and adjective heavy tweets. On Facebook ask questions to spark engagement; start with the words “should”, “would” or “which” to gain attention. Post content when your audience is online to get the most exposure – experiment & test what times receive the most responses by posting similar content different hours of the day. Whatever platform you choose to publish micro-content on, customize it in a way to fit with your audience. Get to know each platform’s strengths and weaknesses and determine which one will be best for getting your message across. Micro-content is the hook, line and sinker. Attaching a call to action or providing a link will create a larger connection back to the brand. Think of micro-content as the trailer before the film premiere, enough to catch your attention and gain interest without giving too much away. If your attention has been held for this long – congratulations, you’ve proven your attention span beats that of a goldfish! Now, it’s your turn to use these five tips and do the same with your audience. Remember, by strategically approaching communication from the perspective of how your audience absorbs information, you will stand a better chance of making a lasting impression. And, knowing how to care for your followers (or goldfish) is essential to keeping the attention & relationship alive. 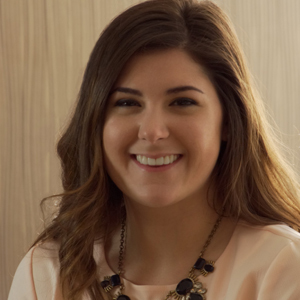 Kelly Balogh makes up part of the creative team at parari as the Jr. Graphic Designer and social media expert. Kelly has earned her BFA from Virginia Commonwealth University in Painting & Printmaking and applies her vast knowledge in fine arts to her work. Her work has also been featured in multiple galleries across Virginia.